(2) the fonts you select. Font embedding services (like Google Web Fonts or Adobe Fonts) sprung up as an alternative, giving your designs something new, fresh, and unexpected. They’re also super easy to use. Choose any font like Open Sans or Droid Serif or Lato. Generate the code and paste in your document’s <Head>. And you’re all set to reference it in CSS! Not everyone will have access to that same font. Which means you will have a problem. That beautiful font you just chose is going to show up as something random for your visitors. Not if you create a fallback with a web safe alternative! P.S. I recently published a free, step-by-step guide on how to create a website using WordPress. Why Does ‘Web Safe’ Matter? Each device comes with its own pre-installed font selection. The selection is based largely on its operating system. The problem is that every system differs a bit. Windows-based devices might have one group. MacOS ones pull from another. Google’s own Android system uses their own as well. Now pull up a website. Even this one would work. The font you see may not be the one original one intended. Meaning: Let’s say the designer picked some obscure, paid font family for this site’s design. If you don’t have that font already installed and it’s not pulling from a web-friendly place – more on that later – the font you see would default back to some basic variation like Times New Roman. You, as the visitor, wouldn’t necessarily know that this is what has happened, though. For you, it might just look plain ugly. The ‘Web safe’ ones, appear across all operating systems. They’re the small collection of fonts that overlap from Windows to Mac to Google (even Unix or Linux ones too). They give designers (and website owners) the ability to specify which fonts to fall back to if needed. That way, you can control what shows up (no matter what) across all devices. And you can pick something that’s still kinda close to the original font (so that what your users wouldn’t see something random or out of place). It’s a plan B, the ‘just-in-case’ version. An emergency system to save the world from bad font selections. Got it? Good! Let’s take a look at the most popular web safe fonts to choose from. But these are the best 15 web safe fonts to choose from. Select one of these and you can’t go wrong. 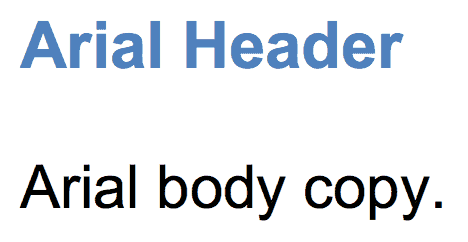 Arial is like the de facto standard for most. It’s one of the most widely used sans-serif fonts (which means no little curls on the end of each letter). It’s often substituted on Windows devices for other interesting (read: more beautiful) font choices. Helvetica is usually the designers’ go-to sans serif font. You can almost never go wrong with Helvetica (or at least using it as a fallback for most other choices). Times New Roman is to serif what Arial is to sans serif. It’s among the most popular on Windows devices and is a new variation on the old Times font. The Times font probably looks familiar. It’s the old newspaper print that you’re used to seeing in a small size in narrow columns. It’s about as traditional as it gets. Courier New, similar to Times New Roman before it, is a variation of another old classic. It’s also considered a monospaced font (as opposed to the serif vs. sans serif we just saw). Courier is the old monospace stand-by available on almost all devices and operating systems. Verdana is a true web font because (1) the simple sans serif lines and (2) it’s super large size. The letters are almost elongated, which makes it easy to read online. Georgia is similar to Verdana in size and stature (with bigger-than-usual letters compared with fonts of the same size). So while it’s great for certain circumstances, make sure to avoid pairing this serif font with others (like Times New Roman) which might look minuscule in comparison. Palatino dates back to the Renaissance. Seriously! It’s another large font that makes it perfect for the web, traditionally used for headings and print-style ads. Garamond is another old-school font that dates back to styles used in 16th century Paris. This new and improved version was introduced and bundled on most Windows devices (and has been adopted by others since). Bookman (or Bookman Old Style) is another perfect headline option that maintains legibility (or readability) even when used in a small size. Comic Sans MS is a playful, whimsical alternative to other sans serif options. Trebuchet MS is a medieval-themed font originally designed by Microsoft in the mid-nineties. It was used on the XP version, and today commonly appears as body copy on the ‘net. Arial Black is the bigger, bolder, badder version of your basic Arial. Funny enough, it also shares proportions with Helvetica. Why is that important? So that they could originally use it to replace Helvetica and print things without paying for the license. 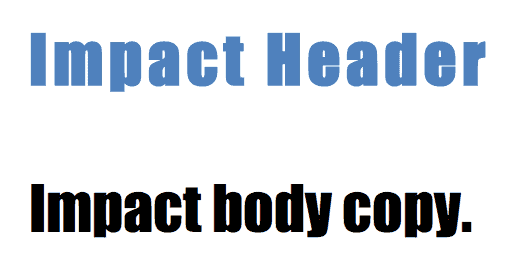 Impact is another bold headline choice that looks great in a few short words, and absolutely terrible in a sentence or longer. Web-safe fonts give you a Plan B. A fallback option for when your first option might not work. They’re widely accessible and have been available on most devices for decades (in some cases). While not all of them are #winners (Comic Sans MS? Yuck! ), there are enough to choose from that should be closely related to your original option. What happens, when if not? You can’t go wrong with Helvetica! Hi there, I would like to know what font you use in your headings? You used this font in your headings, such as ‘Conclusion’ thank you! Please reply asap as I am trying to set up a blog for my pet business :). Helpful article – thanks! In support of Verdana, I’d like to point out that it is unambiguous for easily mistaken characters: I i L l | 1 0 O o (). Whatever font is being used on this web page is visually ambiguous for I, |, l (cap i, vert bar, and small L respectively). Definitely a good point to consider for Verdana! Thank you for your input! I am giving you a virtual high five for your comment about Comic Sans. Now, if only the rest of the world would listen. Thank you so much for this! Amazing. I would like to speed up my website, avoiding loading too much fonts. Verdana seems to be a very good choice thanks to your explanations. So that mean, if I use Verdana, the font will not have to be loaded anymore, as It’s pre-installed on every device/browser on the web, right? What font are you using for the article? If you’re not stacking, don’t use Helvetica, you’ll only see a substitute font or it won’t display correctly at all. I say avoid Helvetica. how could I use different type fonts like REVIVAL at css style? please answer me as soon as possible. The following are not installed in Windows 7, but can be added. Thanks for your concise, helpful overview. I have a question, but first, an explanation. My search question was “What font families are least problematic for websites?” Your article was second on the list following what’s safe for Chinese fonts in CSS. After reading your message, I thought, what goes around comes around. With a couple of exceptions, your list took me down memory lane to another century when I learned to put the lead in leading, then moved on to IBM Selectric, then to Compugraphic and Verityper phototypesetting, then to the the earliest Apples, and then to 15 years with InDesign. It has spoiled me with its precise tools to minutely tweak type every which way from Sunday. Now I’m making the transition into digital production. Unspoken yet obvious in your overview is the ongoing goal of all typography: do what’s best to communicate. I believe that type isn’t “there” to draw attention to itself. Like design — with or without type — it must be message-driven and serve to communicate, up to and including type and design that is gloriously and outrageously shocking. It was this perspective that defined my choice to ask what’s least problematic, not what’s best. Perhaps it is something like a physician’s “first, do no harm” mantra. For my first digital project I will try to use the Google digital serif family Libre-Baskerville but will second that with Georgia, then Times. For the sans-serif I’ll bypass Cabin and CabinCondensed and go with Arial, backed up by Helvetica. The sans-serif options also need tweaking. I want to fractionally condense the characters such that you might not consciously notice, yet visually you won’t bang your eyeballs on clunky characters from line-to-line. I’m not complaining, but there are moments while working with Helvetica when it feels like the “gift”, perhaps it’s a message with complex content, long sentences, and long paragraphs, is wrapped in butcher paper and sealed with duct tape. The second sans-serif problem is that I need to condense and yet pump-up the bold (what’s really needed is an extra bold or black) so that it kinda mimics Frutiger condensed bold or black. CabinCondensed would work visually even though the bold face is weak but I fear the kinds of complications that you’ve described in your article. So here’s the query: can I do a wee bit of tweaking in CSS with these web-safe fonts? If so, do you have any tips or links to info on how to safely manipulate web-safe font characters? Thank you for your patience and expertise. Hello Liana, you may find letter-spacing and font-stretch properties useful, as they are the only css properties I need when modifying the text. Letter spacing is the same with “tracking” in some design software, while font stretch is the “horizontal scale,” which widens the text. 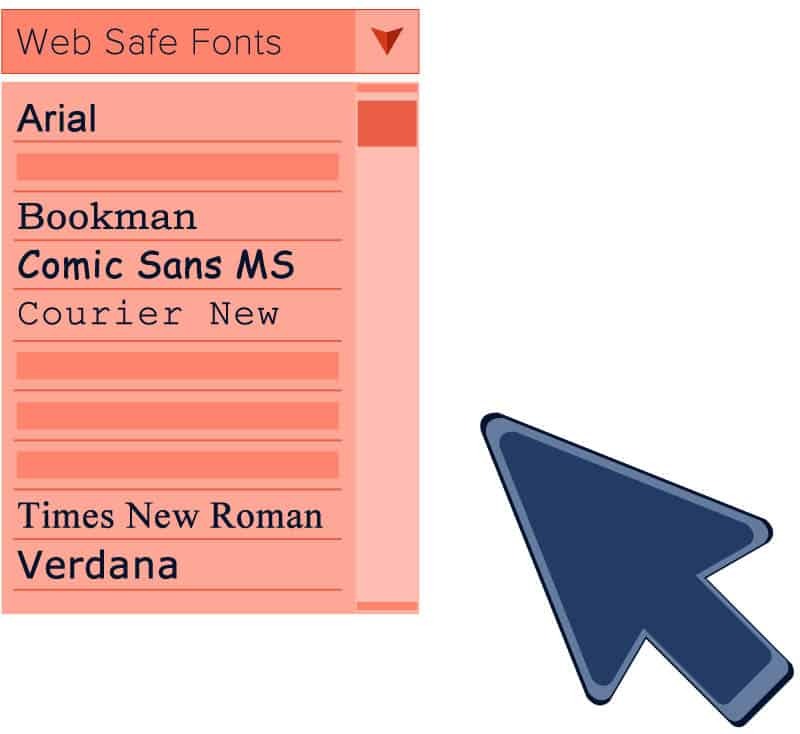 With these two, you can modify web-safe fonts to make it look unique. P.S. 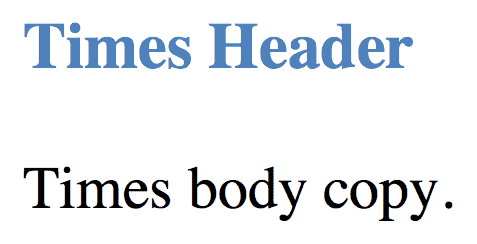 the font-stretch property is a new property from CSS3, meaning it will only work for browsers that supports CSS3. If you want to make your font style “less problematic” then avoid using the “font-stretch” property, since there are still a lot of people who use outdated browsers. Thanks for taking me down type memory lane. I started my career a Type Director at a major NYC ad agency, that was still using hot metal for some jobs. Went through all the same permutation of producing type that you did as I became and AD and then a creative director. Had the pleasure of personally knowing and working with the great type designer Ed Benguiat and watching him hand draw all his original fonts (no computers back then) — what an artist. Thanks for the memories.